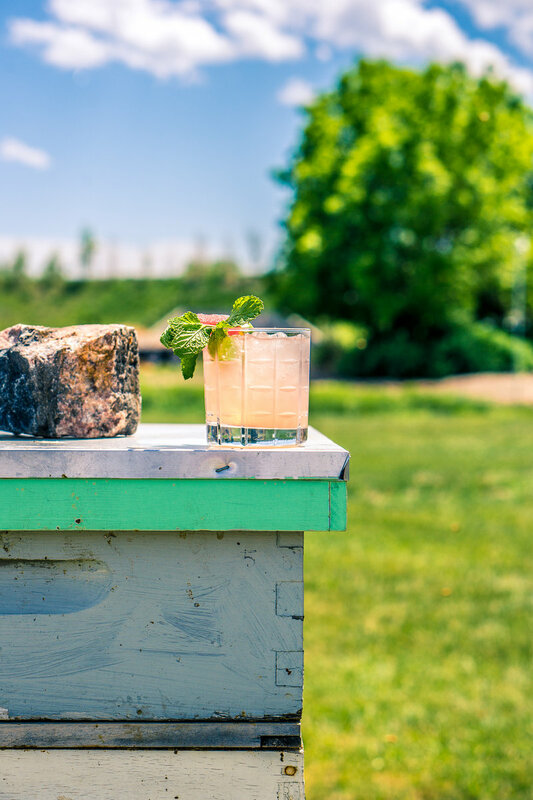 Parker honeybee farmer Nick French is on a mission to help save the bees, offering up delicious amber in the process. 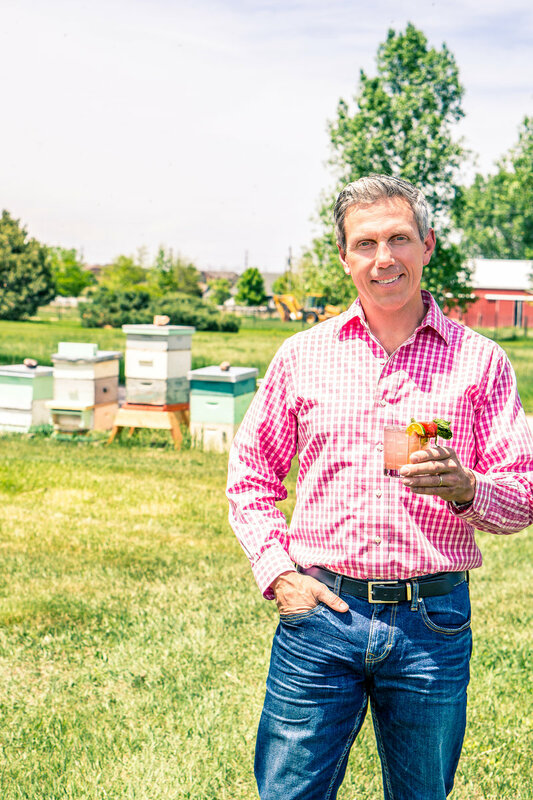 Nick French, head bee shepherd and CEO of Frangiosa Farms Honey, has been living one mantra for the past 10 years: No bees, no food. Nick and his team say they are passionate about helping save the bees through community-supported agriculture and education efforts. 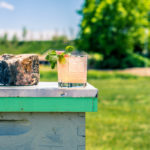 Frangiosa Farms manages about 100 hives throughout the south Denver area, including locations in Parker, Franktown, Elizabeth, Castle Rock and Greenwood Village. Find Frangiosa Farm honey at Sprouts, Tagawa Gardens and Natural Grocers in Parker, or online at AdoptAHoneyBee.com or ColoradoHempHoney.com. 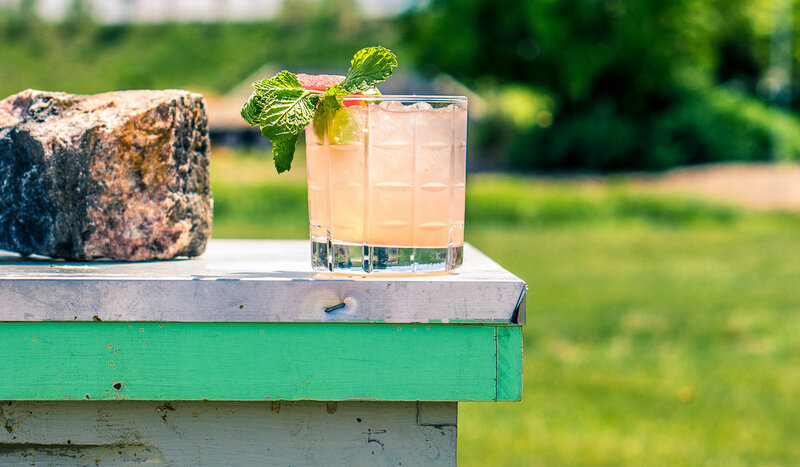 In a cocktail shaker, combine ice with all ingredients except club soda. Shake vigorously and strain into a glass with ice. Add splash of club soda and garnish. * Frangiosa Farm Raw Honey Water: Mix 2 parts Frangiosa Farms Raw Honey to 1 part very hot water. Stir until dissolved. Keep in a squeeze bottle in the refrigerator. 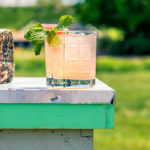 Beekeeper Nick French samples a Frangiosa Farms Honey-Melon Mojito on his farm in Parker.